ACA Signups | Page 302 | Healthcare policy data, analysis & snark. I've been contacted by perhaps 15 different news media outlets in the past couple of weeks--NPR, Newsweek, the Washington Post, Al Jazeera, Rolling Stone, etc. Every one of them has had the decency to either email/tweet me first, or at least to call my business line (which is freely available). Naturally, the one outlet who called my home line and bothered my wife was FOX News. I'll be happy to talk to just about anyone, but please don't pester my wife, OK? The home number is off limits. Yesterday there was an unofficial NY count of 100K total enrollments (QHPs + Medicaid) in the past week (which I estimated broke down to 12,920 QHPs on Friday & Saturday, or 6,460 per day). Today they gave the official number (still not broken out, though): 812,033 combined. ALBANY (March 30, 2014) – NY State of Health (NYSOH), the State’s official health plan marketplace, reported that as of 9 a.m. today, 1,162,795 New Yorkers have completed their applications and 812,033 have enrolled for coverage since the launch of the Marketplace on October 1, 2013. More than 70 percent of those who have enrolled to date were uninsured at the time of application. The previous exact number was 782K, broken out to 367K QHPs and 415K Medicaid. as of 3/27. So, this is another 29,561 in the past 3 days. Obamacare sign-up closes at midnight and enrollment is surging, but a technical flare-up on HealthCare.gov Monday morning marred the administration’s momentum. The online portal, which had been handling millions of visitors over the past few days as enrollment pushed past 6 million, was “down for maintenance” starting at around 3:20 a.m. Officials said it returned to functionality at 9 a.m.
Hmmm...well, on the one hand, this was indeed a "multi-hour outage by HC.gov". On the other hand, it doesn't appear to have been anything critical (ie, they're back online now and all appears to be well...it's not like the earth opened up and swallowed the server farm or anything), and it happened in the wee hours of the morning, so hopefully the impact was minimal. • At least 6 million people have signed up for health coverage on the new marketplaces, about one-third of whom were previously uninsured. 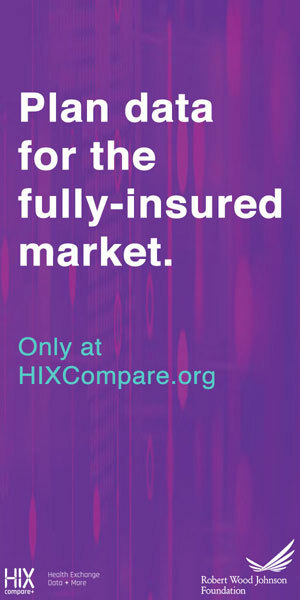 • A February survey by consulting firm McKinsey & Co. found 27% of new enrollees were previously uninsured, but newer survey data from the nonprofit Rand Corp. and reports from marketplace officials in several states suggest that share increased in March. • At least 4.5 million previously uninsured adults have signed up for state Medicaid programs, according to Rand's unpublished survey data, which were shared with The Times. That tracks with estimates from Avalere Health, a consulting firm that is closely following the law's implementation. Read more about What do Morgan Freeman, Brad Pitt and the #ACASurge all have in common? I was quite confident of my projections through the 5 million and 6 million milestones...however, since Wednesday, I admit that I've been somewhat "winging it". My estimates for the past 4 days have been about 2/3 based on solid data...but the other 1/3 has been a mish-mash of anecdotal evidence and instinct. I could be dead wrong here, but I'm going ahead and bumping up my projection for 11:59pm on Monday, March 31st one more time, to just shy of 6.78 million exchange-based QHPs. On the hard data side, it's the latest numbers out of New York and Washington State, both of which appear to have doubled their already-spiked March enrollment rates in the past few days. On the instinct side, maybe it was those "Apple store opening"-like line photos that I posted this morning (although most of those folks will probably end up actually enrolling during the extension period, if you think about it). Maybe I'm just getting swept up in the heat of the moment. Maybe I'll look like a complete schmuck on Tuesday, and my flavor-of-the-month will turn sour. I don't like basing my estimates on "gut feelings" or "hunches". This is the antithesis of everything that statistical analysis and the scientific method should be based on (at least, I think...I'm neither a statistical analyst nor a scientist). However, when you don't have solid evidence, sometimes you have to go with instinct. In this case, it's a mixture of both. So, very soon we'll know how good my instincts are on this. The thing is, I have no problem being off here (and I will be to some degree)...as long I've underestimated the actual total. NOTE: Hopefully everyone noticed the (?) next to "final". One more update tomorrow. The Washington Health Benefit Exchange reported Thursday it had 131,000 private insurance sign-ups through its online portal, wahealthplanfinder.org. The milestone comes on the eve of a major Obamacare deadline. Individuals not exempted by law due to low incomes must have health insurance by Monday or risk paying tax penalties next year. The private insurance sign-ups are in addition to the more than 250,000 newly eligible adults who have enrolled in Medicaid since the exchange opened Oct. 1. Thousands more are enrolled in other Medicaid programs for the first time, according to the state Health Care Authority. If they "reported" the numbers Thursday the 27th, I presume they were through midnight on the 26th at the latest. The previous tally (125,207 QHPs) was through the 23rd, so that's about 5,800 more in 3 days, or 1,933 per day. This compares with WA's February rate of 654/day (nearly 3x) and their existing March rate of 816/day (over 2.3x). Several people have noted that my estimated Exchange QHP number as of today (around 6.58M) has actually surpassed the "combined" Medicaid/CHIP number (6.49M). This is obviously a long way from just a couple of months ago, when Medicaid enrollments were outpacing QHPs by a factor of 3 or 4 to one. However, this brings up two important points about estimated enrollments vs. documented ones. According to @NYStateofHealth Nearly 100,000 New Yorkers have enrolled over the last week. NY State of Health had already reported 717K total enrollments as of 3/23, which had increased to 782K as of 3/28, which accounts for 65,000 of this number (call it 99K since they say "nearly" 100K). Call it 34,000 in the past 2 days. If the QHP/Medicaid breakout is the same 38% / 62% that the other 65K from last week was (it should be very close to this), that's another 12,920 QHPs in 2 days, or 6,460 exchange QHPs per day. Statewide, about 375,000 people have insurance due to this law. That’s the net gain, counting those who had their policies “canceled” last winter (most simply signed up for a new one with their same company). The Medicaid program in the state has grown 25 percent since October, from 1.2 million to 1.5 million. ...The private individual insurance market has also grown, by 19 percent, from 272,000 plans last October to 325,000 today. These figures include plans sold on the state exchange and directly by companies. Whether that’s big enough to be stable and affordable remains to be seen. But before Obamacare it was shrinking. Plus the state says there are 32,000 young adults on their parents’ policies due to the new law. Apple Store Opening or #ACASurge? You be the judge. The line started forming at 5 a.m. in front of an enrollment center in Miami -- where trained workers have signed up 25,000 of their fellow Floridians since November. It was standing-room-only at a center in Houston yesterday. The final deadline to get covered in 2014 is in just two days, and Americans are literally lining up at grassroots events across the country to make sure they're covered. This is what momentum looks like. Read more about Apple Store Opening or #ACASurge? You be the judge. O'Malley said that as of Wednesday, 273,582 people have signed up for coverage. That includes 220,043 people (80% of the total enrollment) who had enrolled in Medicaid, and 53,539 people (20% of the total enrollment) who had enrolled in private insurance. This brings MD's QHPs up from 49,293 on 3/22, an increase of 4,246 in 4 days; the Medicaid number hasn't changed. Since Nevada Health Link opened, the state's exchange for insurance, there have been many problems in finishing the enrollment process. More than 24,000 Nevadans have enrolled and paid, far lower than the projected estimates. Xerox officials told the board that they’ve identified about 77,000 people they’ll target during special enrollment, which runs through May 30. Consumers eligible to sign up then include people who have selected an exchange plan but not paid for it, as well as people who qualified through the exchange for a federal premium subsidy but who have not bought a plan. Company officials said they believe they could convert about 57,000 of the 77,000 targeted consumers into actual enrollees. This doesn't really make much difference to the projection table, but I'm adding it anyway.